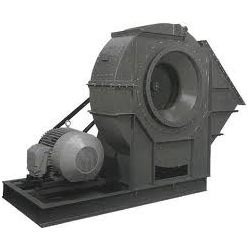 Manufacturer of a wide range of products which include id fan. Keeping track of the latest market developments, we are introducing a precisely engineered range of ID Fan. This product is high on demand in the industry for its least maintenance. Our provided product is obtainable in varied specifications as per the variegated needs of customers. This product is developed from the optimum quality components and cutting-edge technology in accordance with the norms of industry.